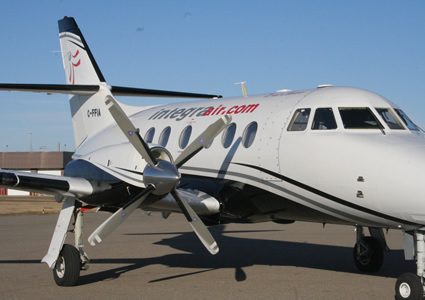 When Integra Air, a small airline based out of Lethbridge, Alberta, was looking to improve their Internet connectivity, as well as receive the personal support necessary to resolve IT issues quickly, Delphi Systems was the right choice for the job. Integra Air provides air ambulance services for the Government of Alberta, scheduled service to Edmonton International Airport, and charted service throughout western Canada and the US. Integra Air has offices, maintenance bases, and pilot bases located in Calgary, Medicine Hat, and Lethbridge, Alberta. Prior to working with Delphi Systems, Integra Air outsourced their IT infrastructure to a local ASP. Once the ASP proved unable to offer the support required, Integra Air started searching for a Lethbridge IT Company to upgrade their Internet service and resolve IT issues in a timely manner. After contacting Delphi Systems, Brent felt he would receive the level of expertise and responsiveness required to maintain productivity and efficiency. “They offered the level of expertise we needed and we knew they’d be responsive. They’re also a smaller sized company and we knew they’d offer more personal attention as opposed to a larger company.” he explained. Delphi Systems was able to make technology work for the current and future needs of Integra Air. After assessing their current environment and analyzing their requirements, Delphi Systems’ team of knowledgeable IT experts worked with a local Internet service provider to upgrade their Internet connection for optimal performance and reliability. Responsive support to resolve IT issues and address concerns quickly. Reliable Internet connection to maintain productivity. Proactive 24/7 monitoring to detect and resolve problems. To learn more about our IT Services and Support, give us a call at (403) 380-3343 or send us an email at info@delphisystems.ca. Delphi Systems offers the expertise necessary to keep your business up and running at all times.